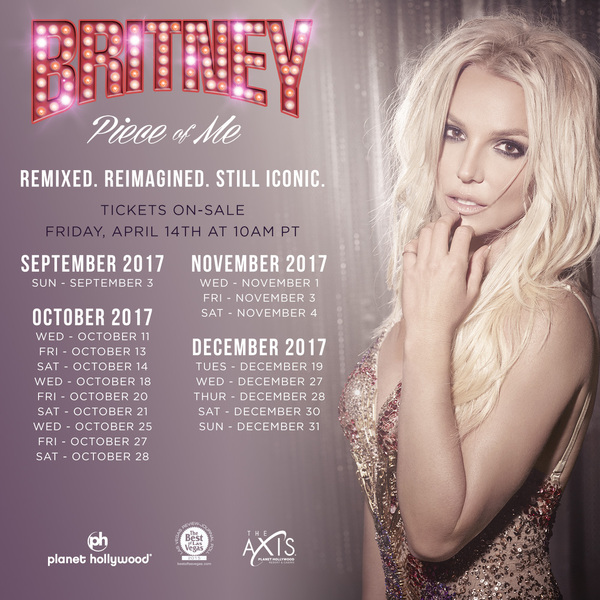 Britney has announced final show dates of her record-breaking Las Vegas residency, “Britney: Piece of Me.” The international superstar will return to The AXIS at Planet Hollywood Resort & Casino for her final performances September 3 through December 31, 2017. See the 18 new dates below! American Express Card Members will have access to tickets starting Tuesday, April 11th at 10am PT. Tickets go on sale to the public on Friday, April 14 at 10am PT.